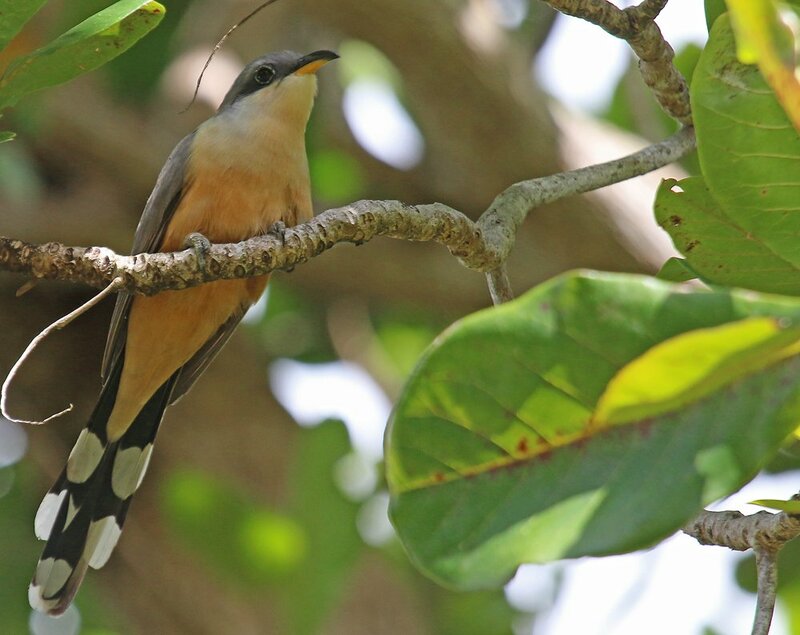 Birders from North America who have tried to find Mangrove Cuckoos in south Florida know how frustratingly elusive the secretive species can be. They are hard to find, difficult to see well, and seem to have a sixth sense about avoiding the camera. It is unclear why, exactly, this is so. In other locations Mangrove Cuckoos can be abundant and not at all secretive. For example, on the first morning in Puerto Rico that Mike and I explored Humacao Nature Reserve we saw several Mangrove Cuckoos and these birds had no problem making their way in front of my camera. Very early in the morning while it was still pretty dark we had a pair calling back and forth. Though the light was bad I still managed some shots, one of which is below. 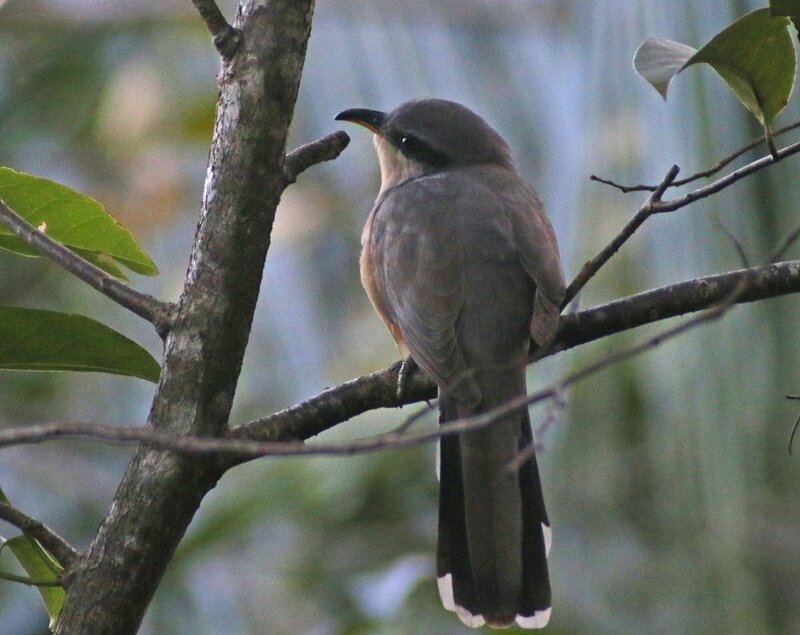 Even if this was the only shot I got of Mangrove Cuckoo it would have been cool. 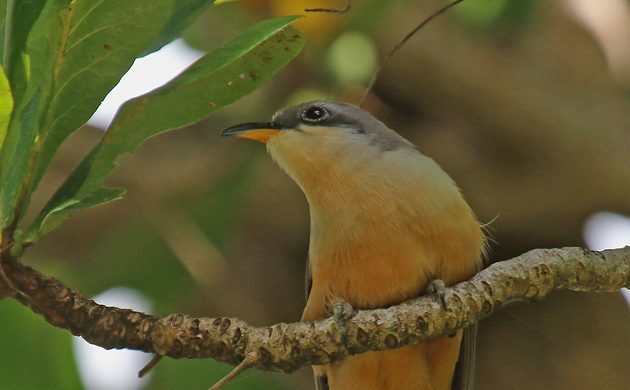 Later in the morning the cuckoos really went cuckoo! First one made its way through a tree just off the trail, pausing here and there to pose. Then another cuckoo caught a katydid-looking creature and started calling with the insect in its mouth. We are pretty sure it was trying to attract a lady. What woman can resist my charms? Especially with a dead bug in my mouth?!?! And, finally, we had one perch briefly on a dead snag right next to us. 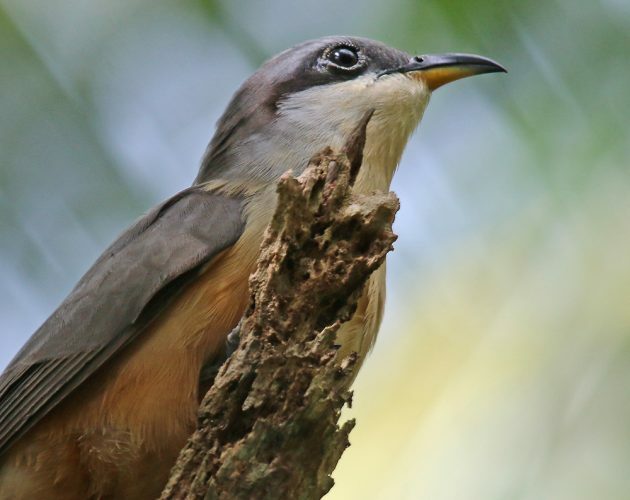 So, birders, let this be a lesson to you. 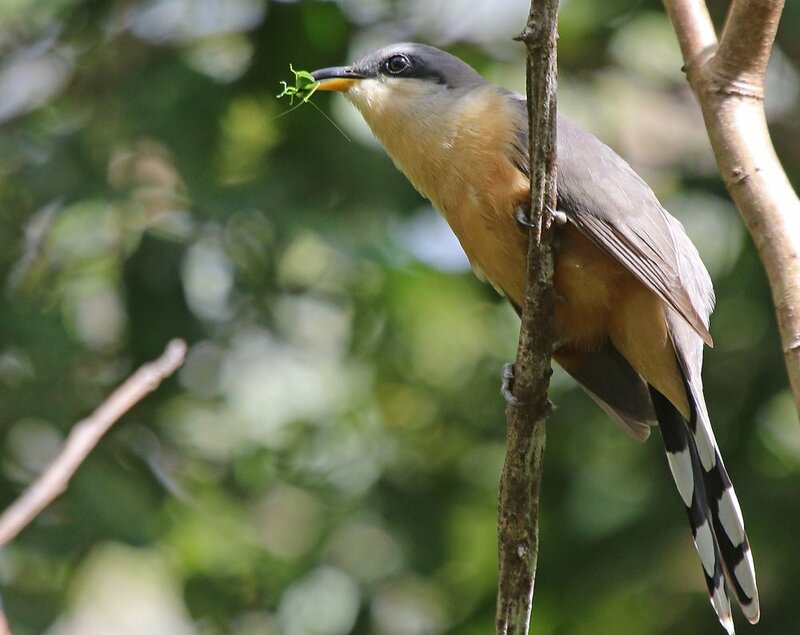 If you want cooperative and carefree cuckoos get yourself off the mainland and make your way to Puerto Rico. You’ll not be disappointed.